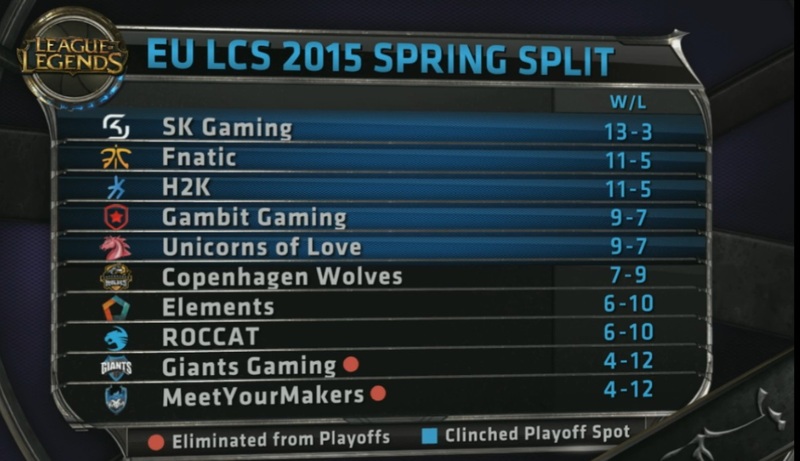 With the last playoff spot to still be decided, we are heading into the EU LCS Spring Split week 9! LCS Spring Week 9 will be played on patch 5.5 and BARD is now available. As we head in to week 9, Copenhagen Wolves, Elements, and ROCCAT are the three teams left battling it out to secure the very last Spring playoffs spot! MYM vs GG tibebreaker to decide auto relegation.